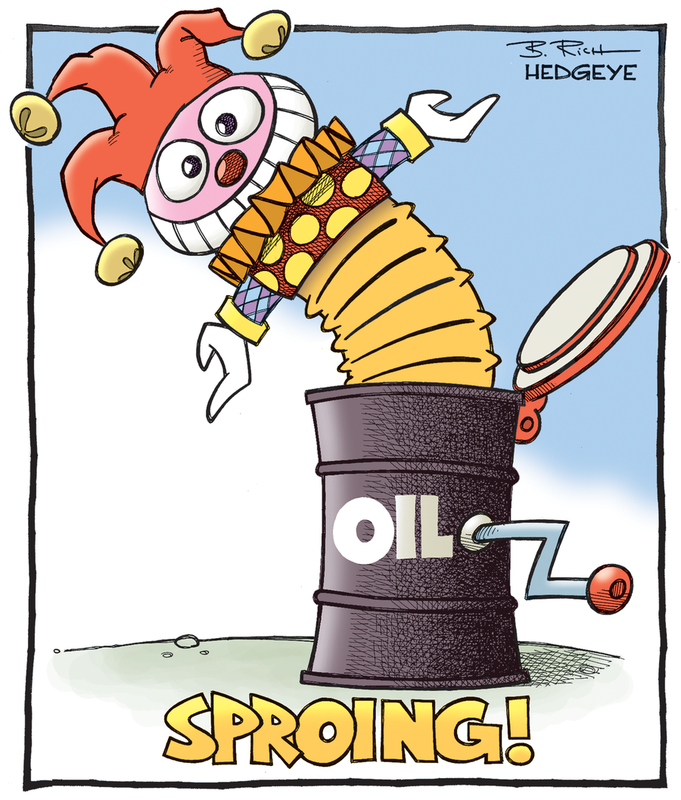 Home / Oil / OPEC / Can OPEC Surprise? OPEC ministers meet in Vienna tomorrow. Expectations could hardly be lower. Attempts to agree on an output freeze were stymied by the Saudi's insistence that is rival Iran participates as well. Iran cannot agree to limit its production yet, or it would have sacrificed (or postponed) it nuclear program for nought. Many observers have announced the death of OPEC. The Saudi's refusal in 2014 to continue to act as the swing producer, coupled with the rise of non-OPEC production, especially the US shale producers, drove oil prices lower, while world demand had softened. Leaving aside some possible strategic errors, like allowing the price of oil to stay elevated for so long created space for higher cost producers, we have argued that the Saudi strategy, far from being a capitulation, is at its heart, a rational strategy for an oligopoly or cartel. This requires a potentially painful process of driving the price of oil down and forcing inefficient producers out. Due to the costs of shale production, and the debt incurred, US shale producers have been squeezed. This has resulted in a drop in output approaching 500k barrels a day. This is around a quarter of the excess global production. The Saudi tactics have been aided by the sharp fall in Nigerian output and the loss of some Libyan output due to conflicts. These conflicts may have reduced global output by another 750k-1 mln barrels a day. This has helped restore better balance between supply and demand. 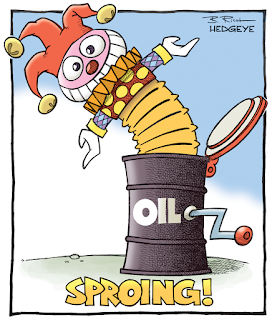 This is what appears to account for the run-up in oil prices toward $50 a barrel recently. The July light sweet futures contract is extending its declining streak into a fourth session today. It has fallen in eight of the past 10 sessions. However, despite the closing direction, prices have been moving broadly sideways. The pullback has been modest since the $50 level was seen briefly in late-May. A trendline connecting the April 5 (~$37.50), April 18 (~$39.80) and May 10 (~$43.65) come in a little below $47 today and near $47.40 at the end of the week, At the end of June, it is near $51.90. A lower trendline, drawn off the July contract low on January 20 (~$31.60) and February 11 ($33.15) and April 5 (~$37.50) is not particularly relevant now, but it is found a little above $44 at the end of June. The basis for surprise is that Saudi Arabia has a new oil minister. Khalid Al-Faliah takes over the reins from Al-Naimi, who held the post for two decades. Al-Faliah may not pursue a conciliatory tone. Saudi Arabia cannot cede market share to Iran. However, the armed with higher oil prices, and some sign that its strategy is paying off, Al-Faliah may make his presence felt. This could be done, for example, by proposing to reinstate a cap on OPEC output. It is not quite the same thing as a freeze, but it is a step toward re-establishing order. The previous cap was 30 mln barrels a day. Reports indicate that most OPEC countries do not have much spare capacity, though the Saudi's do. While reluctant to formally agree to freeze output, by promising not to flood the market with more oil with better prices, Saudi Arabia can reassert its leadership. Note that Saudi Arabia typically boosts oil output in the summer months as it is one of the few countries that burns oil for electricity. In addition to the Saudi's new oil minister, OPEC may (finally) agree on a new Secretary General. El-Badri formally headed OPEC for the past nine years. His term was extended due to lack of agreement on his successor. Hence agreeing on a new Secretary-General would also be a step toward re-establishing OPEC's credentials. There appears to be support for Nigeria's Barkindo. Venezuela's Rodriguez is a potential rival. However, Venezuela has consistently argued against the Saudi strategy, and the Saudi's role is arguably more important than the formal OPEC structure. Indonesia, which only recently rejoined OPEC, is unlikely to find much support for its candidate Siregar. We had argued that Indonesia rejoining OPEC was a sign that OPEC was not dead, despite the numerous eulogies. Some observers found it easy to dismiss an Indonesia as a one-off. At tomorrow's meeting, Gabon's return will be discussed, and likely be agreed. In conclusion, the gap between the supply and demand for oil appears to be converging, though some of the constraint on supply may be temporary even if prolonged (e.g., Nigeria and Libya). The July light sweet futures contract has rallied nearly 60% from its muli-year low set in late-January near $31.60 a barrel. The momentum stalled near $50 a barrel, which is a level that some US shale producers have indicated could entice them, and some adjustment ahead of the OPEC meeting. A new Saudi oil minister, and perhaps an agreement of a new Secretary General, could set the stage for a rebirth of a new OPEC. In addition to the Russian ruble, the Canadian dollar and Norwegian krone are sensitive to oil prices. Among the Asian currencies, the Malaysian ringgit is often responsive to the direction of oil prices. In Latin America, Colombia, Mexico, and Brazil are important producers.